Laura holds a BSc (Hons.) in Biological Sciences, an MSc (Eng.) in Work Design and Ergonomics, and a NEBOSH Diploma Level 6 in Health and Safety. She is a Fellow of the Institute of Ergonomics and Human Factors, a Chartered member of IOSH and registered on the Occupational Health and Safety Consultants Register. 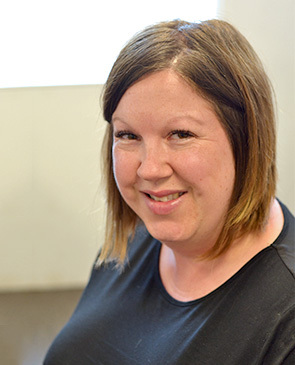 Laura is also an access auditor and completed her training with the Centre for Accessible Environments (CAE). With over 20 years of ergonomics and health and safety experience, Laura provides consultancy and training services to clients in the public and private sectors. Prior to joining System Concepts in 2001, she worked jointly at the Institute for Occupational Ergonomics and the Product Safety and Testing Group. She was lead author of ADULTDATA – a DTI handbook of anthropometric and physical strength data for designers, and co-author of OLDER ADULTDATA – a sister publication on the older adult. Laura provides practical, cost-effective advice and support. She works closely with clients to help them meet legal responsibilities and manage risk, prevent injuries and ill health, and improve employee well-being and productivity. Industrial ergonomics: workstation and task risk assessments. Procurement ergonomics: suitability of work equipment and furniture in office and industrial environments. Training: industrial ergonomics training and workshops for manufacturing, production and assembly clients, including using Humantech’s blended-learning system. Consumer safety, anthropometry and product design: developing ergonomics design parameters and guidelines. Rehabilitation and wellbeing: specialist ergonomics and accessibility assessments.